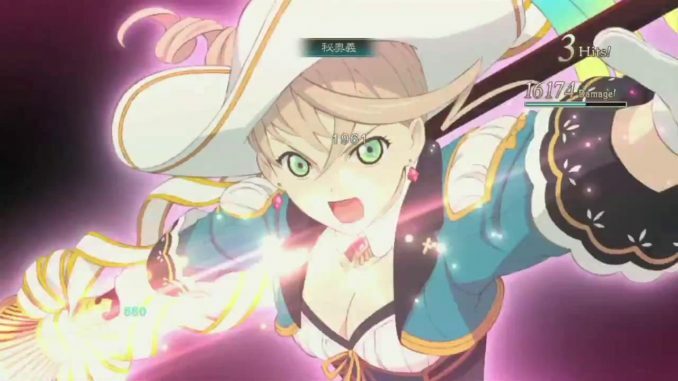 The Tales of Zestiria Alisha After Episode DLC is now released today in Japan. The game website features a short trailer of it, revealing a new Mystic Arte for Alisha. Alisha's new Mystic Arte is ????? (Koujin Soutenshou). Like her in-game model and chat images, Alisha's Mystic Arte also gets her new look make over. Though I guess the new Mystic Arte doesn't come as a surprise. I think most of us were expecting it. The Alisha After Story entitled "What's Reflected in Her Eyes" will be taking place several months after the game's ending. 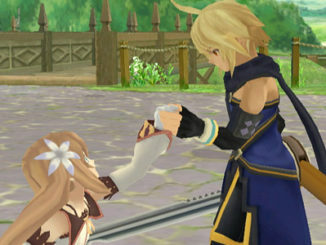 In the story, a group of extremists attack Alisha during her affairs, after which she is saved by Rose. 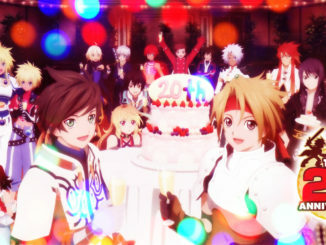 Although Alisha is very happy with their reunion, Rose seems to be avoiding Alisha for some reason. The two eventually set off together in order to find out more about the extremists. The after story features Alisha in new clothes, which are also reflected in her status art and chat portraits. Though it is not necessary to have finished the game in order to play the after story, starting it with a clear save data lets you carry over your levels. Starting it without a clear save will have you with a preset level. The Alisha After Story DLC will be released on February 12, 2015. It will be free for the first two weeks (February 12 to 28 ), after that it will be available for the retail price of 1,300 yen. 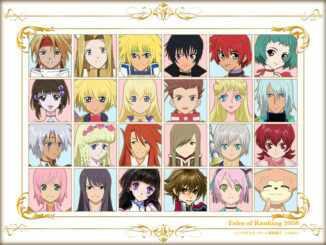 HAPPY 20TH ANNIVERSARY, TALES OF SERIES!